The ACT and SAT are different exams and, depending on your strengths and test-taking style, you may do better on one than the other. Our diagnostic testing and training will help you understand the differences and select the test that fits you best and help you optimize your test score. Either way, we encourage our students to take one or both exams starting in their junior year in order to be able optimize their final score. For a total 45 Hours of Test Prep! Ivy Prep is our best-selling ACT exam course. This intensive program requires a minimum of six weeks to complete. Students will be prepared for all sections of the ACT exam. An individualized plan with a particular focus on the student’s weak areas in order to provide extra instruction, study and practice problem sets. This program also provides access to our online library of practice problems and sample test problems. For a total of 27 Hours of Test Prep! Scholar Prep Course is a shorter course for students who need a less intense study program. It requires a minimum of four weeks to complete and covers all sections of the exam. Homework problem sets focusing on practice for areas that need the most improvement. A La Carte ACT Tutoring with Z Prep! 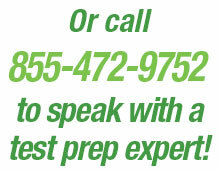 Do you need help in specific problem areas? Try our a la carte tutoring plan. Some students just need a brush up on one specific area to improve their score. With our focused a la carte plan, we’ll get you on track and help you see results quickly! Students who complete 5-8 hours of Z Prep! ACT a la carte tutoring, along with their assigned study material and homework, typically see an ACT score improvement of one to two points. Top Scoring Tutors = Top Results for Your Student! 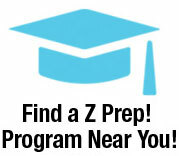 Z Prep!’s ACT tutors are experts at what they do – in fact, we’re so serious about having the best and most qualified tutors that we only select tutors who have achieved a score in the top 5% of all ACT test takers! Z Prep! instructors are experienced and fully qualified to apply our proven test prep strategies and techniques for helping our students improve their ACT scores. & Improve Your ACT Score!